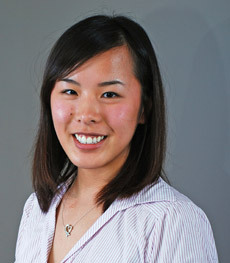 The firm would like to congratulate Eileen Tang on obtaining her Certified General Accountants (CGA) designation. In 2009, Eileen graduated from Simon Fraser University with a Bachelor of Business Administration and started with the firm. She continued her studies in the CGA-BC program while building her experience in Estates and Trusts accounting and taxation and Personal Taxes. She efficiently completed all of her CGA courses and experience requirements setting a firm record for the number of years to successfully complete the CGA program. Eileen continues to work in our Estates and Trusts department and helps train other up-and-coming students. The Certified General Accountants Association of British Columbia is the largest and fastest-growing accounting body in B.C. Founded in 1951, it derives its authority through the provincial Accountants (Certified General) Act. CGA-BC is the governing and regulatory body responsible for the training and certification of B.C.’s nearly 15,000 CGAs and CGA students.